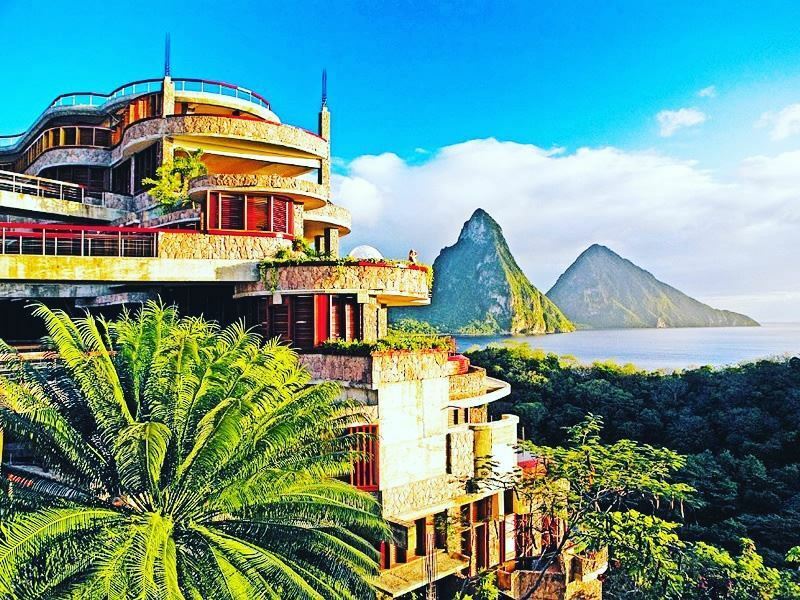 There’s a new breed of hotel that’s opened up across St Lucia, catering for those seeking a character-filled and luxurious stay. From quirky interiors and remote locations, to innovative cuisine and first-class service, these small hotels are ideal for those hoping to add a touch of uniqueness to their Caribbean stay. 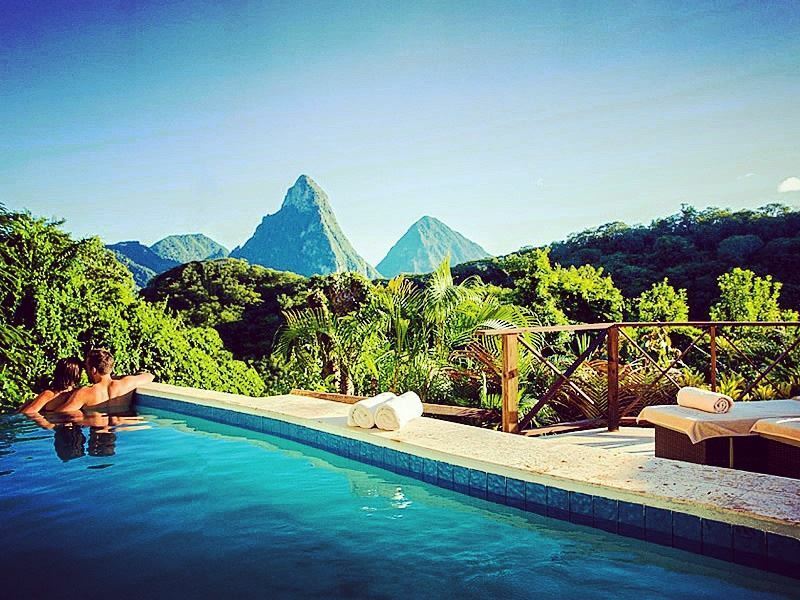 Here’s our pick of the top 10 boutique hotels in St Lucia to get excited about. The setting: Nestled on the stunning, quiet Marigot Bay, this gorgeous boutique lies on the western coast of the island, only a short distance from the capital city. Though there's no beach nearby, there's plenty of other picturesque spots to sun yourself, or you could hop on the complimentary shuttle to the nearest stretch of sand. The sleep: Dark woods and a pop of colour add a romantic and lavish touch to the classic St Lucian styling, will all 124 rooms gracing you with an opulent ambience. Drink in the beautiful views from your private balcony as you sip on a complimentary soft drink from your mini bar, and watch the sun rise from the comfort of your cosy bed. 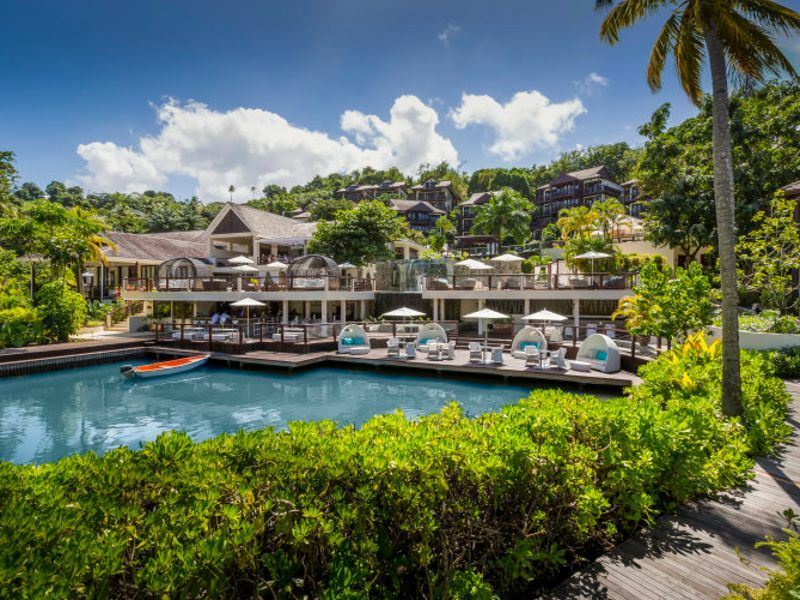 The stay: With its own charming marina and a myriad of gorgeous waterfront eateries, Capella Marigot Bay is a very pretty boutique resort, focusing on leisurely days spent soaking up the sun and enjoying delicious cuisine. The main pool area is stunning, but if you fancy a more secluded afternoon, we'd recommend heading to the quite Rum Cave to taste one of their 200 rums. After a day of sunbathing and relaxing, treat yourself to a flavoursome international dish created with a St Lucian twist at the Bayside Cafe. The setting: Set back from a bar-lined street in the centre of Rodney Bay Village, this three-star hotel is just a ten-minute walk from Reduit Beach - undeniably the island’s finest stretch of sand. The sleep: French-Creole décor brings a sense of glamour to the 101 stylish rooms, all of which are kitted out with sleek mahogany furniture, great-looking sleigh beds, interesting aesthetics, and plenty of mod cons. Bathrooms have walk-in rain showers - or claw-foot baths if you book one of the more salubrious suites. There’s also iPod docks, flatscreen TVs with cable channels, direct-dial cordless telephones, CD players, and tea and coffee-making facilities. The stay: Sun-seekers can while away the hours by the huge outdoor pool, while beauty lovers can enjoy Zen-like treatments at the spa. For foodies, there’s KoKo Cabana Bistro & Bar for Caribbean-Creole cuisine, international cooking and nightly entertainment, and the Creole Grill for freshly-prepared meat and fish specialties. Also excellent is the bar, mostly for its killer rum cocktails, locally-brewed Piton beer, and signature BBC (Baileys, banana and colada). 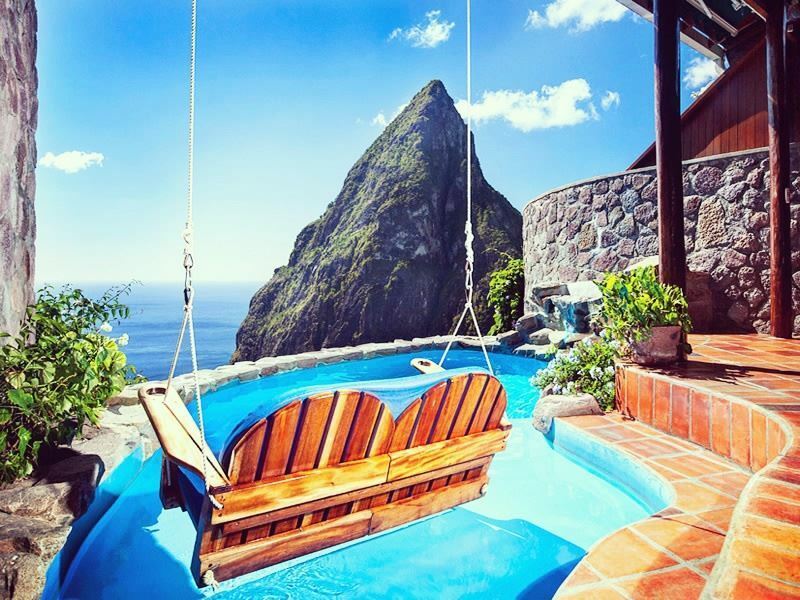 The setting: High on a hillside overlooking the Pitons, this five-star escapist’s dream is on the island’s southern end. Hewanorra International Airport is a 40-minute drive away. The sleep: A much-hyped ‘missing’ fourth wall provides the wow factor for wide-eyed guests in each of the 32 split-level suites - all of which come with private plunge pools, polished teak flooring, vaulted ceilings, carved four-poster beds, and impossibly stunning Pitons view. For an added touch of luxury, there’s outdoor showers, DVD players, and a Ladera's Necessaire Kit with binoculars, eye masks, slippers and star chart for nightly sky-gazing. The stay: They may have done away with a few walls, but there’s no shortage of high-end thrills at this secluded adults-only retreat. There’s the fabulous Dasheene Restaurant for all-day dining and Sunday brunches, as well as a chic-looking pool and lovely spa for top-notch pampering. Also standout is the dawn-to-dusk activity schedule that includes zip lining, cocktail-making classes, chef’s demos, market tours, sunset cruises, and whale watching. The setting: Overlooking the twin Pitons on the island’s south­western coast, this four-star hillside hideaway is set on a 600-acre tropical estate bordering two white-sand beaches. The sleep: The vision of architect owner Nick Troubetzkoy is realised in 49 unique rooms; 27 spread over the hillside and 12 on the beach. All ramp up the luxe factor with bright décor, king-size beds, and en-suite bathrooms with Molton Brown goodies. A few rooms are open to the elements with a ‘missing’ fourth wall; others have wrap-around balconies. There’s also no TV, telephone, radio or Wi-Fi in the rooms, but that’s intentional and only adds to the mellow vibe. The stay: There’s two silver-sand beaches, nature trails for bike rides, two bars for tropical cocktails and fine malt whiskeys, the Kai Belté Spa for ancient beauty rituals, and an on-site PADI diving school. For eats and treats, guests can enjoy grilled specialties at the Treehouse Restaurant, vegetation dishes at Emeralds, and laid-back fare at Trou Au Diable. 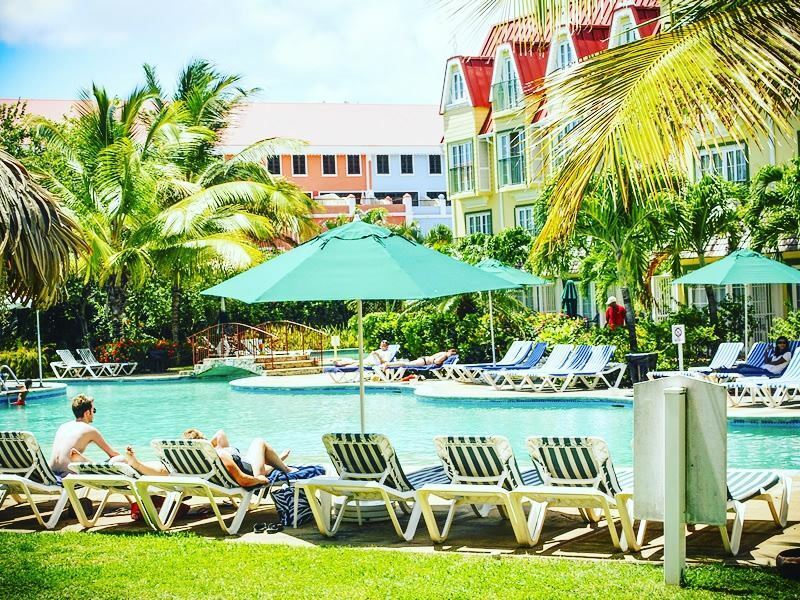 The hotel doesn’t have a pool, but with the sparkling Caribbean Sea below that's hardly an issue. The setting: Spread across a sea-facing hillside on the island’s west coast, this four-star, adults-only villa retreat is set in a 26-acre rainforest estate that was once a lime and cocoa plantation. 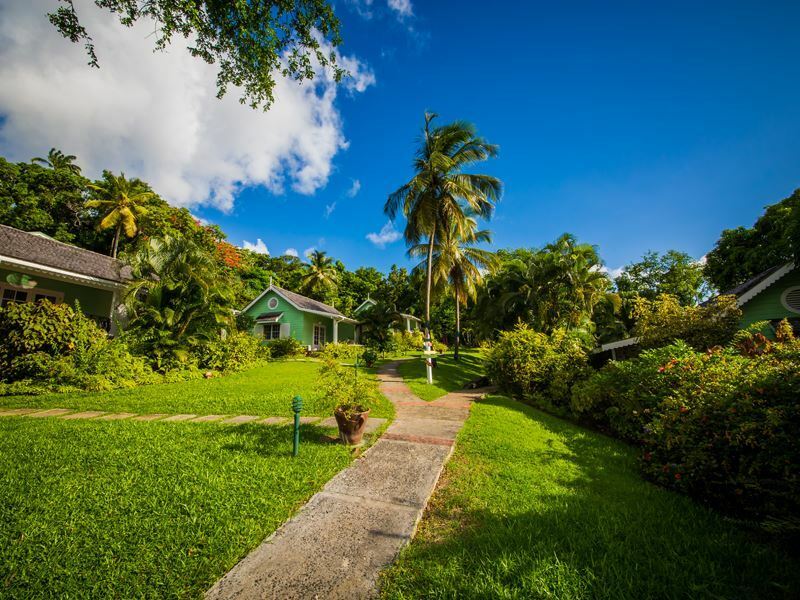 The sleep: Characterised by French colonial décor, each of the 17 gingerbread-style villas overlooks the gardens, ocean, hillside, and/or Pitons. Each comes with a four-poster king or queen-size bed, fully-equipped kitchen or kitchenette, outdoor shower, hammock, and secluded plunge pool. Nice extras include iPod docks, bathrobes, tea and coffee-making facilities, air-conditioning and ceiling fans, complimentary Wi-Fi, and terraces with rocking chairs. The stay: Guests can take the shuttle into nearby Soufriere to stock up on groceries - or dine at The Mango Tree Restaurant on off-duty days. There’s also an outdoor communal pool, superb spa, modest but well-equipped fitness centre, and yoga studio. While the vibe here is particularly laid-back during the day, guests can enjoy sundowners at Happy Hours and live entertainment on selected nights. Most worthy sticking around for are the Island Grill Night with fire-eaters and limbo dancers on Thursdays, and the Tapas Night with steel pan music on Sundays. The setting: In lush landscaped gardens within the swanky 1,500-acre Cap Estate, this north-coast elegant boutique hotel assures five-star glamour just 10-minutes from Rodney Bay. 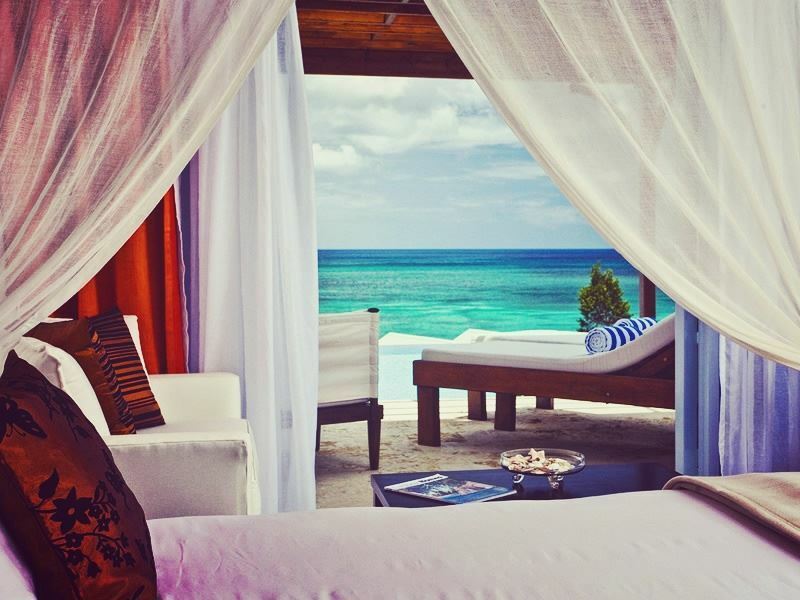 The sleep: Spiced up by a Spanish-Caribbean décor theme, each of the 49 rooms and suites are set in whitewashed villas atop a private oceanfront bluff overlooking the Caribbean Sea. All are kitted out with flatscreen TVs with DVD players, bathrooms with hand-painted Mexican tiles, terraces with planter-style chairs, and plenty of in-room gadgetry. Some of the more splurge-worthy suites come with rooftop terraces, Jacuzzis, and private pools. The stay: There’s a two-tiered pool, award-winning spa, state-of-the-art gym, and round-the-clock activity schedule that includes snorkelling, kayaking, windsurfing, cookery classes, and wine-tasting. But the showstopper here is the food and drink. Don’t miss The Cliff at Cap for West Indian-meets-European cooking courtesy of a Welsh Rastafarian chef, The Naked Fisherman for fresh seafood, and Rock Maison for sunset cocktails delivered by a zip-line. The setting: On a hillside overlooking Bonaire Bay on the northwest coast, this four-star bolthole is perfect for small-scale luxury in St Lucia’s north, just a short drive from Gros Islet. The sleep: There are 26 Balinese-inspired suites and cottages offered in three categories: Waters-Edge Cottages, Swim-Up Junior Suites, and Ocean View Junior Suites. All are beautifully-presented and outfitted with lots of dark wood and exposed beams. Expect king-size beds dressed with deluxe linens, outdoor rain showers, and terraces with hammocks for all-day swaying and sleeping. Some come with Jacuzzis and private plunge pools. 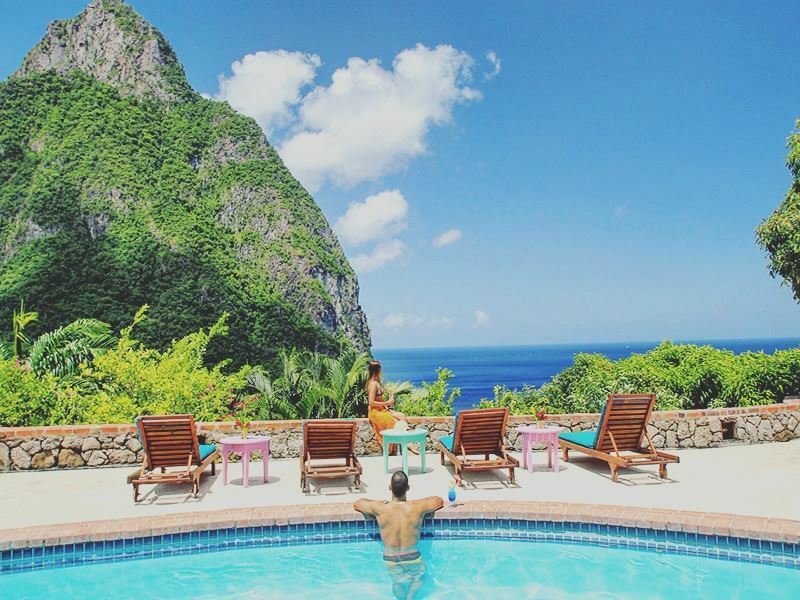 The stay: Everything here is geared up for relaxation; from the huge infinity pool with a swim-up bar and pool butlers to the Eastern-influenced Ti Spa for European-style treatments with St Lucian plant and fruit-based curatives. There’s also the open-air Windsong Restaurant for gourmet-style international cuisine with an Asian twist, as well as the intimate C Bar that’s the perfect spot for all-day snacks and sundowners. The setting: Built into the hillside exactly 166 steps down to the silver-sand Anse Cochon beach, this four-star resort on the west coast of St Lucia is refreshingly just for grown-ups. The stay: Each of the 33 very private and peaceful rooms are set in gingerbread-style hillside cottages overlooking the turquoise-tinted sea. All come with wood-clad exteriors, red-tin roofs, open-air garden showers, and well-sized balconies with a rocking chair and hammock. Inside, there’s a four-poster bed dressed with a mosquito net, minibar, tea and coffee-making facilities, and Wi-Fi access. Some room types have their own private plunge pool. The stay: There’s little more to do here than book blissful massages in Kai Koko Spa’s open-air treatment rooms, join early-morning yoga sessions on the beach, and laze by the decent-sized outdoor pool. On the wining and dining front, there’s the cliff-top restaurant Kai Manje for Creole-influenced cuisine paired with award-winning wines, the beachfront eatery Ti Manje for home-made burgers, chips, baguettes and speciality salads, two chilled-out bars for sunset cocktails, and an underground wine cellar that houses over 500 varieties. 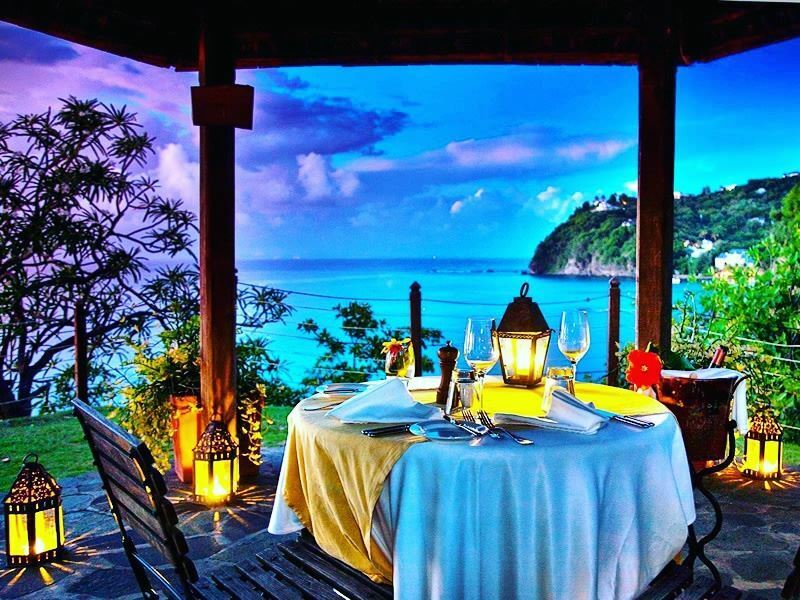 The setting: Spread over 12 acres of tropical gardens overlooking Labrelotte Bay, this all-inclusive four-star resort on St Lucia’s northwest coast is a 10-minute drive from Rodney Bay. The sleep: The 30 boutique-style rooms and suites housed in 15 single-storey cottages assure plantation-style décor; expect lashings of gleaming whites, dark woods, and splashes of bright colour. All have shaded patios, mosaic-clad bathrooms (stone-built sunken showers in the deluxe rooms), minibars that are replenished daily, and all the mod cons you’ll need. King-size beds come as standard, but twins can be arranged on request. The stay: There’s gourmet-style cuisine in the brilliantly-named Flamboyant Room as well as a laid-back bar for live jazz and cocktails. Guests can enjoy yoga and pilates classes, a decent amount of non-motorised watersports (hobie cat sailing, off-beach snorkelling, stand-up paddleboarding, kayaking) and a twice-weekly guided tour of the exquisite grounds. An outdoor pool with swim-up bar and open-air Spa Pavilion top things off nicely. The setting: On a hillside above the beach resort of Anse Chastanet, this one-of-a-kind five-star retreat offers uninterrupted views over the sea towards the soaring Pitons. The sleep: Worth the stay for the views alone, each of the 29 self-styled ‘sanctuaries’ come with 15-foot ceilings, king-size beds, huge open-air living spaces, and open bathrooms with chromotherapy whirlpool tubs and rain showers. All have a private infinity pool (Jacuzzi only in the Sky suites) and are deliberately tech-free for a truly secluded feel. However, Wi-Fi is available on request for those who just can’t cope with being too cut off. The stay: For guests who like to keep busy, there’s cookery classes, kayaking, sailing, yoga, fishing trips, chocolate-making, offshore coral reefs for snorkelling and scuba diving, and acres of rainforest crisscrossed with hiking and mountain-biking trails. Further thrills include the two soft-sand beaches, outdoor pool, fitness studio, spa, library, and all-day Jade Mountain Club for delicious modern fusion cuisine, made-to-order cocktails, and afternoon tea.